The following routine treatments can be provided by one of our dentists, therapists and hygienists. When bacteria find there way into the centre of the tooth (because of decay, leaking filling, tooth fracture or trauma etc.) an inflammatory reaction occurs which can result in toothache and ultimately an abscess. Sometimes no pain is experienced and the nerve dies quietly resulting in a slowly progressing infection. At any stage root canal treatment can be carried out to prevent spread of infection and in order to save the tooth. As the cause of the problem is bacterial infection, successful root canal treatment is effective disinfection of the inside of the tooth. The tooth is isolated under a rubber dam and after the inside of the tooth is accessed it is soaked in a disinfectant. Small nickel titanium and stainless steel instruments are used to gently clean and shape the inside of the tooth down to the tip of the roots, allowing disinfectant to work effectively. Once completed a plastic filling material is used to fill the root canal space and prevent reinfection. Often after a root treatment is completed, the tooth will require a crown. This may progress onto periodontal disease if left untreated. This is a more serious disease that can lead to tooth loss. You can prevent gum disease by removing the soft creamy plaque from your teeth and gums. Regular tooth brushing, flossing and using other hygiene aids and mouthwash can reduce the bacteria which cause gum disease. A healthy diet and stopping smoking can also help as smoking can cause the bone and tissue in the mouth to shrink, leading to tooth loss. Dental hygienists work as providers of dental healthcare . They work as part of a dental team, mainly concerned with preventing dental disease and treating gum disease. This includes professionally cleaning your teeth by removing plaque and tartar (usually called a ‘scale and polish’ or a prophylaxis). However, perhaps their most important role is showing you the best way to keep your teeth free of plaque. Plaque is a soft sticky coating that forms constantly on your teeth. Hygienists also give advice about diet and about preventing tooth decay. 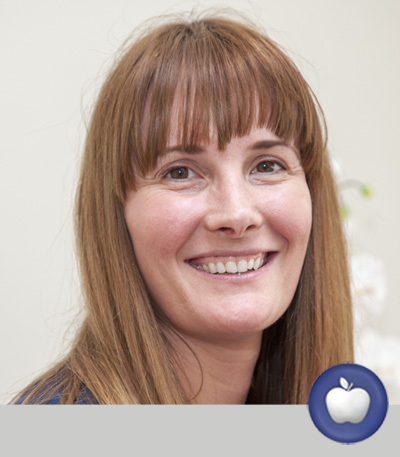 The hygienist will work with your dental team to give you care that is tailored to your needs. Yes. They will carefully remove the hard deposits of tartar (or ‘calculus’) that build up on the teeth and teach you how to prevent them coming back. This will do a lot to slow the progress of gum disease. Can I have my teeth cleaned without seeing the dentist? Since 2013 the General Dental Council has permitted patients to access the services of dental hygienists. Previously, a dentist had to see a patient prior to prescribing hygiene treatment. This is no longer the case, meaning that if you want a “scale and polish” with the hygienist you can simply give us a call to make an appointment directly with the hygienist of your choice. Visits to a hygienist can help prevent gum disease and improve the appearance of your teeth. However, they are not a substitute for dental check ups with a dentist. What if you want to stay with your current dentist? If you are already registered with a dentist whether private or NHS, you can stay with them and just visit for hygiene appointments. This will not affect your place at another surgery. 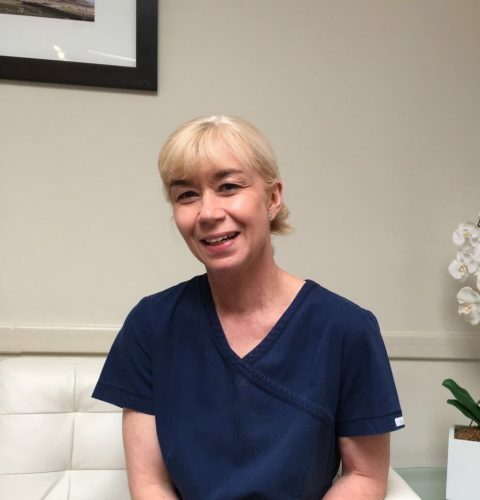 If you would like a clean with the hygienist she will need to see you for at least 30 minutes initially to check your medical history, dental history and carry out an assessment of your gum health. She will then be able to clean your teeth and recommend how often this should be done. Crowns are a porcelain cover for damaged or unsightly teeth. 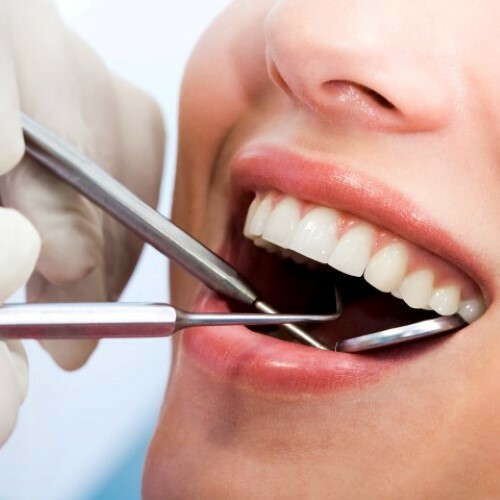 They are carefully crafted to look natural and blend in with surrounding teeth. All porcelain crowns alleviate the black outline sometimes showing on older crowns. When teeth are missing and those either side of the space are healthy with well supported foundation the replacement of the missing tooth is possible with bridgework. It is a similar procedure as to providing a crown with an “extension” to replace the missing tooth. A denture is a removable replacement for missing teeth and the tissues connected to those teeth. It is made of acrylic plastic and sometimes metal materials. A denture closely resembles natural gum tissue and teeth. Complete dentures replace all of the teeth, while partial dentures fill in the spaces created by missing teeth and prevent other teeth from shifting position. Complete dentures are “immediate” or “conventional.” An immediate denture is a complete denture or partial denture that is inserted on the same day, immediately following the removal of the natural teeth. The immediate denture acts as protection to the tissues and reduces bleeding after tooth extraction. The conventional denture is ready for placement in the mouth about 8 to 12 weeks after the teeth have been removed and the gum tissue has healed. However, some dentists may recommend more time before placing a conventional denture as this healing period will vary from patient to patient. A partial denture is for people who still have some of their natural teeth. Dentures are not just for elderly patients. Patients of any age may lose some or all of their teeth and may require a dentureof some sort. Because teeth are a permanent part of the body, tooth loss can have an emotional impact on some people. It is important to talk to your dentist about any fears, anxiety, or other emotions you are feeling about tooth loss. Valplast flexible dentures are a lightweight, flexible denture, which are free of metal so are also highly aesthetic. The pink part of the denture comes with a lifetimes guarantee against fracture and breakages, giving you comfort in knowing that your dental restoration is built to last. The warranty will go into effect when you register the serial number that you receive with your denture. This is done at www.valplast.com. The warranty covers the pink part of the denture but not wear of the teeth. It also requires you to clean with Valplast cleaning products only. These are available at the practice or through the Valplast website. A dentist can make a full conventional denture when all teeth have been lost or all extraction sites have healed (up to eight weeks or longer.) The denture process takes about one month and five appointments: the initial diagnosis is made; an impression and a wax bite are made to determine vertical dimensions and proper jaw position; a “try-in” is placed to assure proper colour, shape and fit; and the patient’s final denture is placed, following any minor adjustments. * Denture adhesives may be recommended, especially for the first-time denture wearer. Adhesives may improve the retention and stability of dentures for those with minimal bone support or small ridges. Stability of the denture will help the wearer’s confidence. * Remove and brush the denture daily with a denture cleanser and a brush (one specifically designed for cleaning dentures or a soft toothbrush). * Avoid using boiling water to sterilise the denture, because hot water can cause the denture to lose its shape. * If you wear a partial denture, remove it before brushing your natural teeth. * When you’re not wearing the denture, soak it in denture cleanser or water. * To avoid misplacing your denture, store it in the same place after removal. Dental implants are a possible alternative to dentures. Implants are artificial tooth roots that are surgically anchored into your jaw to hold a replacement tooth or bridge in place. Implants and bridges may resemble the “feel” of real teeth, but they may be more expensive than dentures. Not all patients are good candidates for implants, so be sure to talk to your dentist about which treatment option is best for you. Latest figures show more than 6,500 people in the UK were diagnosed with mouth cancer – that’s 18 people every day. It is one of the few cancer variations on the rise – cases have increased by almost 50 per cent over the last decade – and it still claims more lives than cervical and testicular cancer combined. However, cancer can occur in the mouth, where the disease can affect the lips, tongue, cheeks and throat. Yes. Over 1,800 people in the UK die from mouth cancer every year. Many of these deaths could be prevented if the cancer was caught early enough. As it is, people with mouth cancer are more likely to die than those having cervical cancer or melanoma skin cancer. However, the traditional ethnic habits of chewing tobacco, betel quid, gutkha and paan are particularly dangerous. Mouth cancer can appear as a painless mouth ulcer that does not heal normally. A white or red patch in the mouth can also develop into a cancer. It is important to visit your dentist if these areas do not heal within three weeks. If mouth cancer is recognised early, then the chances of a cure are good. Many people with mouth cancer go to their dentist or doctor too late. The dentist examines the inside of your mouth and your tongue with the help of a small mirror. Remember, your dentist is able to see parts of your mouth that you cannot see easily yourself. If your dentist finds something unusual they will refer you to a consultant at the local hospital, who will carry out a thorough examination of your mouth and throat. A small sample of the cells may be gathered from the area (a biopsy), and these cells will be examined under the microscope to see what is wrong. If the cells are cancerous, more tests will be carried out. These may include overall health checks, blood tests, x-rays or scans. These tests will decide what course of treatment is needed. Cut down on your smoking and drinking!!! • Unusual lumps or swellings in the mouth. 1. Head and Neck Look at your face and neck. Do both sides look the same? Look for any lumps, bumps or swellings that are only on one side of the face. 2. Neck Feel and press along the sides and front of your neck. Can you feel any tenderness or lumps? 3. Lips Pull down your lower lip and look inside for any sores or change in colour. Next, use your thumb and forefinger to feel the lip for lumps, bumps or changes in texture. Repeat this on the upper lip. 4. Cheek Use your finger to pull out the cheek so that you can see inside. Look for red, white or dark patches. Put your index finger inside your cheek and your thumb on the outside. Gently squeeze and roll the cheek to check for any lumps, tenderness or ulcers. Repeat on the other cheek. 5. Roof of the Mouth Tilt back your head and open your mouth wide to see if there are any lumps or if there is any change in colour. Run your ﬁnger on the roof of the mouth to feel for any lumps. 6. Tongue Stick out your tongue and look at the surface for any changes in colour or texture. Gently pull out the tongue and look at one side first, then the other side. Look for any swelling, change in colour or ulcers. Examine the underside of the tongue by placing the tip of your tongue on the roof of the mouth. 7. Floor of the mouth Look at the floor of the mouth for changes in colour that are different than normal. Gently press your finger along the floor of their mouth and underside of the tongue to feel for any lumps, swellings or ulcers. The future of medicine using stem cell treatments looks bright. Adult stem cells hold the potential to dramatically change how a wide range of high-prevalence, life threatening diseases are treated. By choosing to bank your child’s, stem cells with Precious Cells now, you are ensuring that they will always be there to safeguard your future as treatments become available for a growing number of diseases such as cancers, heart disease, diabetes, Alzheimer’s and many more. Extensive and continuing medical research is identifying and developing amazing stem cell therapies These are proving successful in the treatment of a wide range of diseases that have until now been considered difficult or impossible to treat. Stem cells heal and restore skin, bones, cartilage muscles, nerves and other tissues which have become damaged through injury or disease. At this time, there are over 5,000 ongoing clinical trails of new treatments involving stem cells. These treatments could soon become available to you – but your own stem cells will be vital in the process. 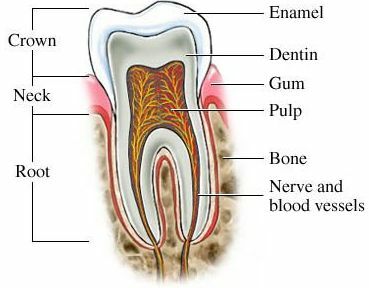 The dental pulp contained within all teeth is a rich source of unique stem cells that have the ability to regenerate and develop into many different kinds of cells with the potential to treat future illness or injury without rejection. All baby teeth fall out, often healthy teeth are removed for orthodontic reasons or wisdom teeth extracted. These occasions offer an ideal opportunity to collect and store your, or your child’s, stem cells simply, safely and routinely. Baby teeth that fall out naturally have a reduced chance of yielding viable stem cells which is why we recommend you see your dentist who can painlessly remove a child’s loose tooth, preserving its vital stem cells. Precious Cells International is a leading world authority on private stem cell banking as the ONLY organisation with the knowledge and resources to process and store stem cells from 5 different sources in the body. Precious Cells is the ONLY stem cell bank in the UK to use a combination of an accredited and validated biological transportation kit, a custom-built clean room laboratory environment for cell processing, and to use a dedicated UK bio-banking storage facility. Our storage facility is the largest state-of-the-art dedicated bio-banking facility in the UK with 24 hours a day, 365 days a year monitoring to ensure the safety of your cells. Precious Cells is fully licensed by the Human Tissue Authority to collect, process, test and store stem cells from umbilical cord blood, umbilical cord tissue, teeth, adipose tissue and bone marrow (License No. 22615). Precious Cells processes and stores your stem cells here in the UK, thereby removing the need to ship your precious cells overseas. We invest in the very latest processing technology. This patented system is safer and more efficient which so we can offer a more affordable service to our customers. Precious Cells Founder and Chief Executive Officer is a stem cell biologist who has dedicated his entire career to stem cell research and who personally supervises all our scientific and laboratory operations. Precious Cells works in collaboration with one of London’s leading academic institutions and universities ensuring the continual redevelopment of its products, processes and services. Should the need to use your stem cells ever arise, Precious Cells strong international affiliations will be able to guide you to the world’s leading stem cell treatment centers.